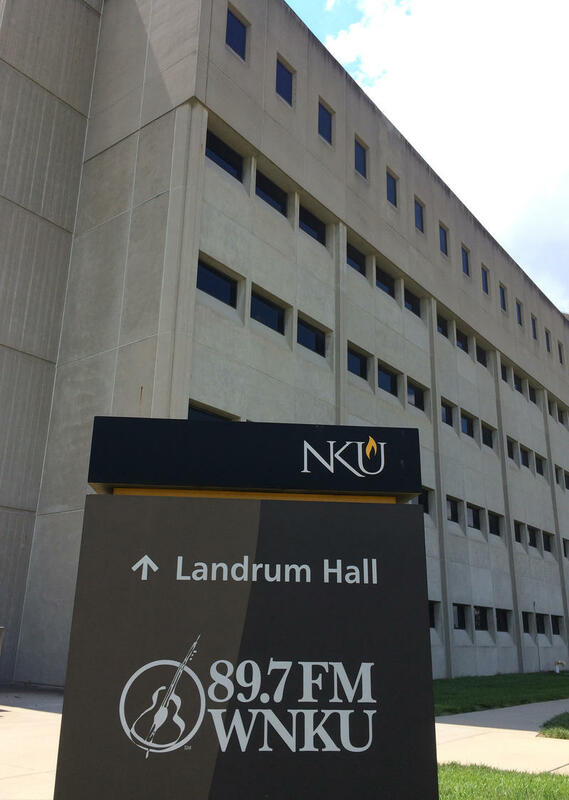 WNKU-FM ceases broadcasting from NKU's Landrum Hall on Sept. 28. 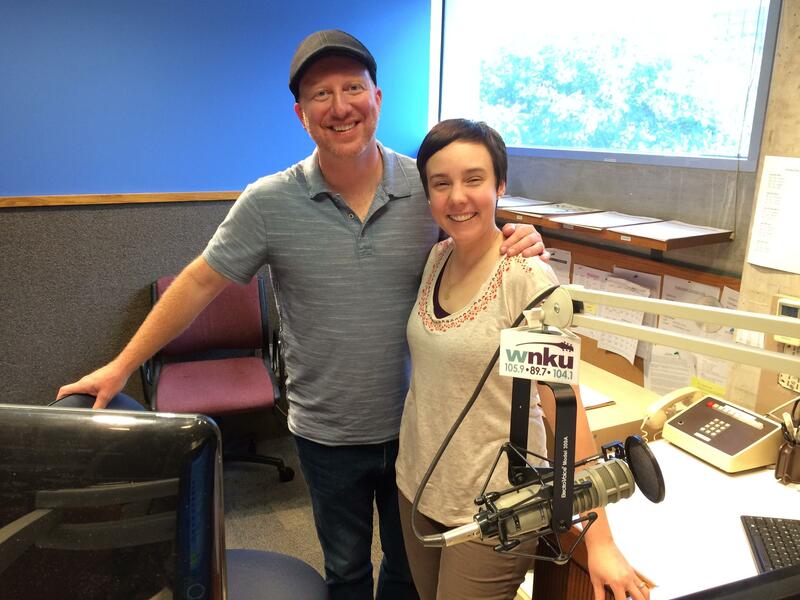 Interim general manager Aaron Sharpe and program director Liz Felix in the WNKU-FM studio in August. Ziesmann operates classic country WNKR-FM in Dry Ridge and Grant County Broadcasting. Since August 18, the Northern Kentucky University station has been heard only on the Middletown FM. That's when Bible Broadcasting Corp. bought NKU's original campus signal. WNKU-FM's Portsmouth area station changed hands in early August. On July 19, the Northern Kentucky University Board of Regents approved the purchase of Middletown's old WPFB-FM to Ziesmann's company for $4 million cash and $1.3 million in advertising time. The Federal Communications Commission approved the sale Sept. 13. Ziesmann has not announced a format for the Middletown FM. The Middletown and Dry Ridge stations will give him coverage from nearly Georgetown, KY, to Piqua, Ohio, north of Dayton. DJs scratched out the Portsmouth FM station and Middletown AM station from the legal station identification card as they were sold off by Northern Kentucky University. The original WNKU signal on FM 89.7, dating back to April 1985, was sold in February for $1.9 million to Bible Broadcasting Inc., which primarily airs spoken word religious programming. Bible Broadcasting started programming the station this month. NKU sold Middletown's WPFB-AM (910) to the Catholic Sacred Heart Radio last year. Fans of WNKU and its Triple-A (Adult Album Alternative ) format will enjoy reading my Aug. 17 story, "WNKU Alum Share Their Favorite Memories Of FM 89.7." If you want to share your favorite memories of the station, email me at johnkiese@yahoo.com. I’ll post more remembrances and tributes from WNKU listeners and former staffers before the station ceases to exist on Sept. 28. WNKU-FM won't be making a big deal about losing its original frequency (FM 89.7) at 8:59 a.m. Friday late Friday night, since the beloved station still will be heard until late October on Middletown's powerful WNKN-FM (105.9) and streaming. But I will.... since "it's the beginning of the end," as I wrote earlier this week. Valentine's Day will be remembered as the day the music died at WNKU-FM. Sadly, it's over, as I had expected since Northern Kentucky University President Geoffrey Mearns announced 10 months ago that he would "explore the possibility of a sale of WNKU-FM and its assets." After nearly 32 years of rockin' the airwaves to an adult album alternative (Triple-A) beat -- a unique blend of alternative, folk-rock, classic rock and bluegrass with a hourly dose of homegrown artists -- the university sold WNKU-FM (89.7) to a religious broadcaster, as I figured.